The Telegraph has a fascinating article about the golden age of British aviation art back when flying was still new and the preserve of “crackpots, inventors and the goggled rich…” Hence, the general public needed to be convinced that flying was safe and that’s where aviation art came into play. Apparently, British aviation art for commercial aviation began around the time Imperial Airways formed in 1924 with just 15 aircraft – two of which crashed during the first year of operation. Imperial then hired a publicity manager who enlisted artists or illustrators like Ben Nicholson, John Piper and László Moholy Nagy to help with a promotional campaign to sell “dreams” rather than airline tickets. World War II suspended commercial aviation in Britain but when it resumed after the war, so did aviation art. It was not until the jet age of the 1970s before aviation posters were finally done in by other forms of media like TV commercials. 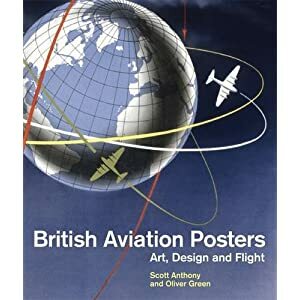 If you are interested in learning more about British aviation art, The Telegraph mentioned a new book entitled British Aviation Posters which is collection of more than 150 posters from British Airways’ archive. In addition, a quick search of Google reviews the website of the Military Print Company which has a very good collection of British military aviation related posters for sale plus the website of the Guild of Aviation Artists which has an online gallery of all 455 paintings by 149 artists in their 2012 gallery. The Guild’s 42nd Open Annual ‘Aviation Paintings of the Year’ Summer Exhibition will also be opened at The Mall Galleries on Monday and it will run until Sunday July 22. 2012. Gruyère certainly makes you think of a delicious Swiss cheese (and for my Swissness sake, it has NO holes…the holed one is Emmental), but is also the name of the region where this cheese comes from and it has its airfield. If you ever come to fly in Switzerland and are not affraid of grass runways, a visit to Gruyère is a must. The airport is located at the southern end of the “Lac de la Gruyère” and has a 811 meters long grass runway.. and some obsctructions. The prescribed circuit track must be strictly respected to avoid troubles with airport neighboors. All details can be found on the airport’s website (unfortunately in French only…). Note that a prior permission is required (per telephone: +41 26 921 00 40) and that no take-offs are allowed between 12h00 and 13h30LT. The pattern is like a mini scenic flight, specially for runway 35: turn base around the castle hill, intercept the river, and join long final along the river. On runway 17, fly along the lake, low over the trees on final, and land. Take-off performance can be an issue, so consider short-field technique. For non-swiss pilots, the airport altitude might sound unusual: 2’257 feet. Combine this with temperatures in the 25°C range during summer and you’ll probably be out of your usual area on the take-off performance graph. Early lift-off and acceleration in the ground effect is recommended, particularly when the grass is long. I remember looking at the trees by threshold 17 nervously during some take-offs while accelerating in ground effet, and finally rocket towards the sky and feel relaxed when finally seeing the lake. This video includes a take-off on runway 35 with a DA40 and illustrates ground-effect acceleration… For info, we were two on board, with minimum fuel for a short trip. Note the road across runway during take-off roll, and how close to the obstacles we are. The video is quite long, and the Gruyère segment starts at 7:40. The airport restaurant is a large Swiss chalet and offers coffee with double Gruyère cream. If you come during spring or early summer you can also have blueberries in cream and getting it on top of a meringue is an option to be seriously considered. The restaurant offers delicious grilled meat and the castle can be seen from the terasse. The airport offers bike rentals for 5 CHF for three hours to ride along the lake and discover the area. The castle of Gruyères can be visited and regularly hosts art exhibitions or musical events. Surprisingly, it is also the home of the H.R. Giger Museum. If you don’t know him, H. R. Giger is a world-known swiss painter and sculptor who created his very personal style often qualified of “fascinating biomechanical”. One of his best-known creation is the Alien – yes, from the “Alien” movie. Visit the official Gruyère tourist office’s official website to find more activities, including hiking, spas, cableways, and much more. And please remember: Gruyère cheese has no holes.